When I first read Psalm 65, I was reminded of Thanksgiving. Verses 9-13 praise the bounty of God, the Lord of the Harvest, who provides water, flocks, and grain in abundance. This generous provision is a needed blessing for any community, but especially in a difficult environment like the desert. 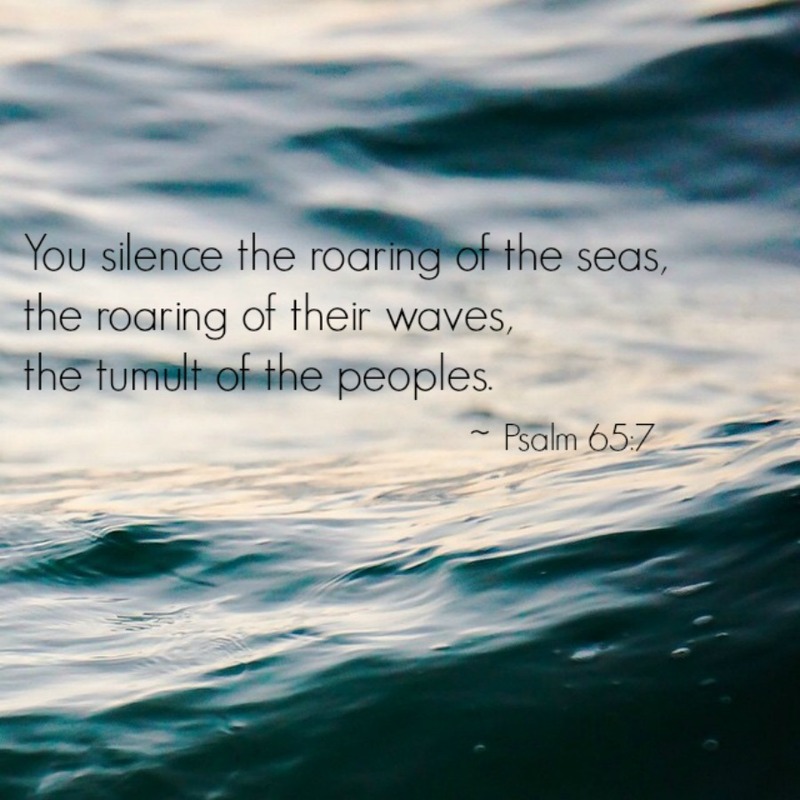 When I reread the psalm, I was drawn to verse 7, especially the phrase “You silence… the tumult of the peoples.” Provision of food and water is a way God silences the desperate cries of deep need. It is worthy of thanks all on its own, yet there is more to praise. There is always more to praise. God goes deeper and further in satisfying and silencing because that’s God’s being, God’s desiring. 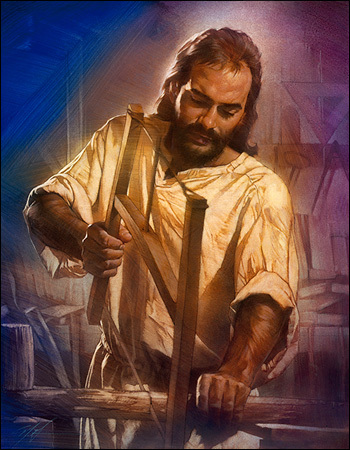 God goes beyond “give us this day, our daily bread” to meet the needs of body and soul and community. answer prayer (vs. 2) so we are not left alone in the monkey brain, the incessant inner monologue of our questioning and worry. forgive our sins (vs. 3) so we are not abandoned to the mayhem of twisted choices and broken relationships. provide us a home in your family (vs. 4) so we are not overwhelmed by crushing waves of isolation. We so need the companionship and support of others, especially the wise and faithful. deliver us, the deepest of need, so we are not left despairing and hopeless in the chaos of trying to save ourselves. Bring us near. Raise a song in our hearts. A shout of praise and thanksgiving in your sanctuary. O Lord, open our lips, and our mouths will declare your praise. Please leave a comment for information on publishing this work in any form. When the poor and needy seek water, and there is none, and their tongue is parched with thirst, I the Lord will answer them. I the God of Israel will not forsake them. I will open rivers on the bare heights, and fountains in the midst of the valleys; I will make the wilderness a pool of water, and the dry land springs of water. The point of following Jesus isn’t simply so that we can be sure of going to a better place than this after we die. Our future beyond death is extremely important, but the nature of the Christian hope is such that it plays back into the present life. Lord, spare me from my wishes, that I may be free for you. Spare me from my little self, that I may be my divine self. Spare me from my life, that, dying, I may become yours. – Excerpt of a prayer entitled Spare Me by Steve Garnaas-Holmes. For more on the ideas of denying our “little self”, ego, and false-self click over to another reflection by Steve Garnaas-Holmes entitled Deny Yourself. “Denying yourself” in its Jewish context means resting in the righteousness of Jesus and denying yourself of the righteousness that comes from performance of the law. – Simon Yap, What is the meaning of “denying yourself”? Yap invites us to consider Leviticus 16:29; Numbers 29:7; Leviticus 23:32; Leviticus 23:27; Leviticus 16:31. To deny yourself is not to punish yourself, or to take on misery. It’s not to live in denial, to turn your back on who you are, but the opposite. We falsely see ourselves as finite, discreet individuals, separate from the world, in danger at any moment of disappearing back into the abyss. It’s not the real truth, but an image of our “self” that the ego uses to manage our consciousness. And we believe it. We spend our lives—mostly unconsciously— protecting that little “self,” and in particular its power, security and esteem. (Hence Jesus’ temptations in the desert.) It’s what St. Paul calls “the flesh.” He doesn’t mean our body; he means something even smaller, contained within our body, limited by our fears and appetites. But we aren’t such little “selves.” We are part of something infinite. By the life of Holy Spirit in us we are members of the infinite Body of God, who dwells in us and we in God. We are sustained not by our own protection of our little lives but by the life-giving fountain of grace welling up within us to eternal life, flowing with perfect, infinite compassion. To “deny ourselves” is to deny whatever fears keep us from loving fully. It is let go of our self-centeredness, to say no the illusion, to transcend our ego, to abandon our little skull-caged, death-leashed bit of fear and desire and instead become the infinitely alive and loving children of God we truly are. As those who embody God’s love we give of our lives for love; we are not afraid even of death, because we trust that with love and grace God overabundantly renews life in us. So we follow Jesus out of our selves and into infinite life: without fear we take up our cross, practice compassionate self-giving and join Jesus in loving the world into its newness. You are love; you are Beloved. Deny anything less, and love without limit. I wanted to convince you that when Jesus says deny yourself, that maybe it’s really denying the self that wants to see itself as separate from God and others. Deny the self that believes that spirituality is a suffering avoidance program. Deny the self that does not feel worthy of God’s love. Deny the self that thinks it is more worthy of God’s love than it’s enemy is. Deny the self that thinks it can do itself. Deny the self that is turned in on the self. Because I really want you to know that dying to that false self no matter how painful, will bring you real life. Click here for a reflection on how denying yourself intersects with social justice by Steve Garnaas Holmes.